Thank you for your interest in applying to join EVE University. Please note that in order to process the large number of applications we receive, EVE University uses its own recruitment tool to track applications. Please read this page carefully to get started. First you will need to register for an account on our recruitment tool. Instructions for this are below. Next you will use the link at the bottom of this page to go to our actual application. During the application we will ask you to fill out a short questionnaire. Then you will need to return to your application to link and authorize your alt characters. You will then need to wait for your application to be reviewed by one of our Personnel Officers. While you are waiting we will ask you to set up your overview and install Mumble (our voice communications software). When a Personnel Officer has reviewed your application they will send you a mail in-game with the next steps. If you have been approved for the next stage of the process this mail will contain instructions what to do next. Some applicants will have instructions on how to join without an interview, but others will need to be interviewed before getting accepted to corp. The mail will give instructions on whichever process is next. It normally takes a couple of days to receive a mail. If you are asked to interview, when you are in-game and have time for an interview you can then join the interview queue. When one or our Personnel Officers is available they will call you for an interview. The actual interview normally takes 30 to 60 minutes, but bear in mind that it may take a few days to be called for an interview. You will only be called for an interview if you are online and in the interview queue, so just join the queue when you would be playing the game anyway. During the interview the Personnel Officer will bring you into EVE University (if you're accepted) and set up your access so you can get started. All our Personnel Officers are volunteers, so we cannot guarantee when they will be online. Please be patient with the process, and if you have any problems, contact the Director of Human Resources. Before you apply to EVE University you will need to register for an account. Please follow the instructions below to register an EVE University account. This EVE University account is also the account you will use to log into both the EVE University forum and Mumble, which we use for voice communications. Once you have set up an account in our portal, you will be able to follow through the application process entirely in the portal itself. 1. In a web browser, go to the EVE University Portal Page. You will then be brought to a page which looks like the page below. 3. 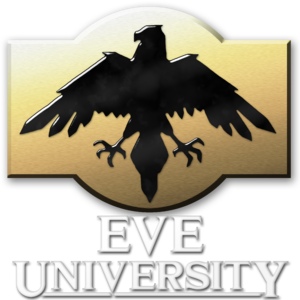 Next, check the character name shown is the character you wish to apply to EVE University on and select Authorise. 4. After successfully creating your EVE University account, you will need to create a password for your forum and mumble accounts. To do this input and then confirm your chosen password before selecting save password. 5. Once you have completed the steps above you will need to complete the application questionnaire by selecting Join EVE University , shown below. Once you have set up your EVE University account, please click the button below to start the application process for EVE University. Note that you need to click the button above to proceed to the next step. At this stage you have created an account in our tool but you have not actually applied yet. Once you have applied, please remember to continue to the next step! For alts on same same account as your applying character, side should have "Add Characters" on the right hand side of your character portrait under "Linked Characters". Click it. You should be presented with a CCP login dialog and then a selection box to select your other characters. Please select one and authorize it. Repeat that again for any other alts on that account. For characters on other accounts when the authorization page comes up, hit cancel, then log to into those characters' respective accounts and repeat the authorization process. When you're done, return to Your account page for your applying character and verify that all your alt characters are listed.